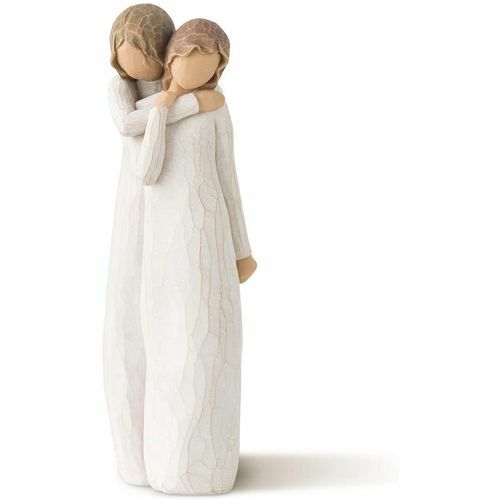 Message on the card inside reads "Protect and cherish; give wings to fly"
Part of the Willow Tree Family Figure collection. A chrysalis is the protective covering in which a caterpillar develops into a butterfly. 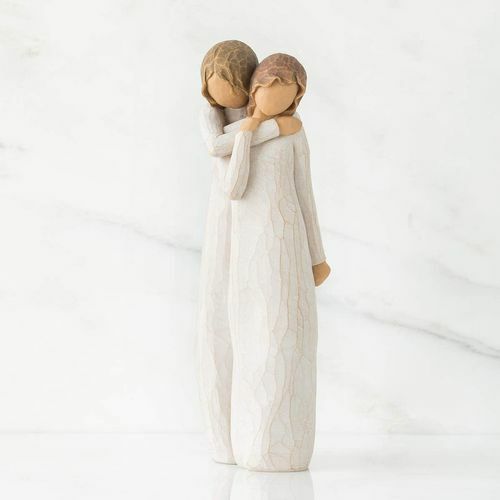 According to Sculptor Susan Lordi, the title of this Willow Tree ornament is a metaphor for the relationship between a mother and her teen-age daughter a time of letting go, in support of emerging independence. A mothers first response is to protect her child. But the greater gift is to provide the love and trust that helps her daughter find wings to fly. The emphasis on this piece is on the daughter. Its her emerging, her transformation, her unfolding. The title is illustrative of this particular time of life.